Since I have launched this website on December 2011, I have always thought about launching a contest for my readers but I couldn’t able to make it live due to lack of time. But now I am free from all my works and I am ready to reward my visitors with a brand new Asus Google Nexus 7 Tablet (16 GB) via a contest. To get this Android tablet, all you have to do is follow the requirements given below. I am providing points for all the contest requirements and the person who gets the maximum amount of points will get rewarded with this tablet. If two or more people gets the same amount of points, I will use the random.org (will post a live video) tool to pick out the winner. I hope everyone of you will participate in this contest. I wish all the participants good luck in winning this contest! Fabulous… Wanna have tablet.. Will surely participate and win..
thats cool aight want that hope so! 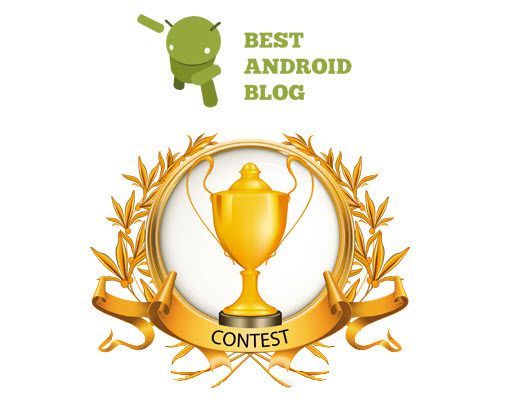 I have participated in this BestAndroidBlog Contest:thank u..
i want to have that android phone. Great contest. Love the Google Nexus 7 – will participate & also sharing this contest with my friends on my site! Just one more question. Can you put a clarification in the T&C, whether this contest is restricted to Indian participants only or is open worldwide. There is no restrictions for visitors to participate in this contest. Anyone can participate and win this contest! All entries points earned and wrote awesome post in my personal blog hope i will be happy..
I’ve joined the giveaway contest. Hope I get selected. All the best to all participants and BTW a very good giveaway BAB ! i wanna get that tablet… ive never have like that before..
Just follow the guidelines given at Rafflecopter. You will be good to go! i wish i could win…….. I wish I could win co’z i really really to have a tablet like that. Basic calculations suggest that anyone who’ve participated and got the maximum 23 entries has a chance of 0.5% to win the contest ! Is there any way by which we can increase the probability of us winning this contest ? i want to have this, i hope i win this i want this so badly, Godbless guys! We will announce the winner today!